What’s a “good” product description? As you can see, a good product description should provide users with a clear and cohesive paragraph focused on the most important information about your products such as: unique selling points, sizes, types, colors, benefits, etc. The major difference between the two is the quality of information provided to the user. Google will reward businesses who go the extra mile and give consumers the necessary details to make an informed buying decision. How do product descriptions affect SEO? Search engines rely on numerous factors to identify how and where a webpage should be ranked, and one of the most important determining factors is keyword relevance. When a user types in “classic motorcycle leather jacket for sale,” and the above product description has given an explicitly detailed description filled with relevant keywords, the user is more likely to see your webpage in their search results. Better descriptions will equal better search results! Seems simple right? Well, it can take some work, research and time to see what keywords to target, what your actual market is searching for, and how to correctly optimize your descriptions for relevant searches. Don’t have the time? Let one of our SEO Experts help you out today! 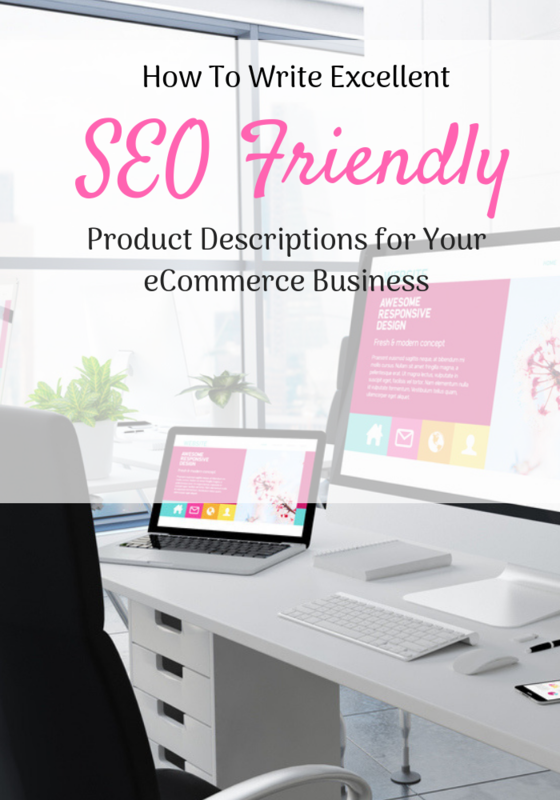 So if you are looking to go ahead and improve your product description SEO, here are a few pointers that will start you out in the right direction! So many people think they need to write their descriptions to appease the search engine web crawlers, and this simply is not true! Product descriptions should be written with a buyer in mind. They should be helpful, descriptive and useful. What is good for your audience is also good for search engines! The main concern here being usability. So if you write well for your audience, Google will take notice and you will start to reank higher and higher in search. While having the features included in your product description can be helpful, it is even more pertinent that you include the benefits of the product as well. Yes, people want to know about the product, but they also want to know what it can do for them and why they need it. People need a clear picture of how they will use something they plan on buying. For example: When talking about a pair of water-proof winter boots. It would be better to state what you can do with the boots on! Stomp through puddles and slush through the snow! Our waterproof rubber liner will keep your feet dry and the soft fabric lining will have your feet feeling cozy all day long. The above description gives the reader an idea of how they would feel wearing the shoes, and the description is vivid which will benefit you in your ranking. They key to getting customers into your eCommerce store is to hit the right SEO keywords. You want to target the right audience and help the search engines actually understand what is on your pages. In your quest to find the right keywords, you can use helpful tools such as SEMrush, Moz Keyword, or KWFinder. These will help you research things like search volume, keyword difficulty, and related terms. While it may be easier to use the same or similar descriptions for similar products… I would strongly advise that you avoid it at all costs. Google does not like duplicate content, and it can cause issues when search engines are trying to index your pages. The best way to avoid this is to create unique description and product title for each and every product on your website. If this is impossible, then you can add in a “no index” meta tag to pages you don’t want to be crawled by bots. SEO takes time and work, but it is a worthwhile investment in the future of your business!